Area 51 is really a lot of things: a secret base, sure, but also a legendary road trip in the desert southwest of the US, a magnet for paranormal claims, a UFO hotspot, and let’s not forget the rumors about alien technology. Most of all, Area 51 is a story: how it came to be, how it got to be famous, and of all the fun things that cropped up around it. Reading about it is awesome, but nothing can replace seeing it for yourself—say, in an Area 51 documentary. Here are five movies that tell that story, revealing mysteries and unearthing even more strange questions. Alien Highway is not at all a typical Area 51 documentary. A fun romp through the heyday of Area 51 in the 1990s, this indie film features interviews with the late Ambassador Merlyn Merlin II (from the planet Draconis), Pat Travis of the Little A’le’inn, Glenn Campbell (of the fabled Area 51 Research Center) and a host of UFO and Area 51 enthusiasts. The film includes a drive to the border of Area 51, and a visit to the Little A’le’inn. 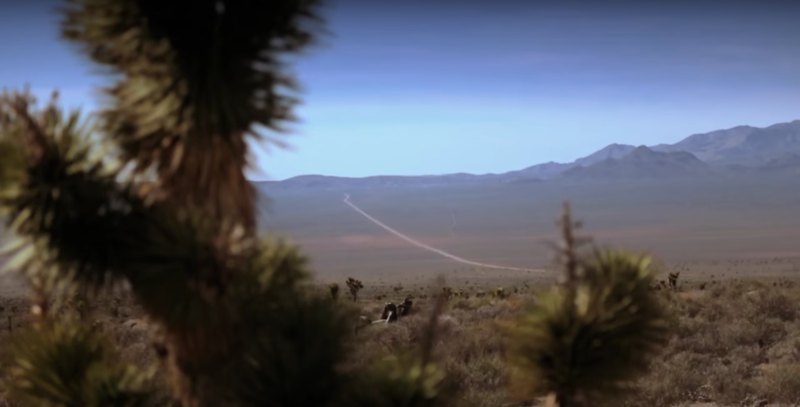 Glenn Campbell takes us on a trip to the Area 51 vantage point known as Freedom Ridge (later made off-limits by the US government), and reporter George Knapp (who first broke the Bob Lazar story) weighs in as well. Pat Travis tells us about how they turned the little dive that was the Rachel Bar and Grill into the UFO-hunting landmark that is the Little A’le’inn. This film is the other side of the Area 51 coin: the history of the most famous secret base in the world. Here’s an Area 51 documentary that doesn’t even give a nod to the words “aliens” or “UFOs”. This is a straight-up military history story, starting with the creation of the U2 spy plane in the 1950s, and the need for a secret place to test it. 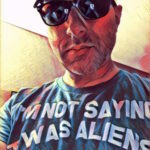 We get good coverage of every declassified aircraft that has come out of Area 51, and interviews with people who worked on them. Former camo dudes also make appearances. This show is not at all dry or boring; it just doesn’t talk about aliens. This Area 51 documentary starts out sober and compelling, then veers unexpectedly into the weird and unexplained. Hosted by Nick Cook, editor of the English magazine Jane’s Defence Weekly, this is an interesting blend of declassified Area 51 history with bizarre claims and suggestions that might be unbelievable if it wasn’t presented with such high journalistic standards. It’s one long road trip, taking Nick to stops that are significant to Area 51 history and bigtime government secrets. He visits the Skunkworks in Burbank, California, talks to conspiracy author Jim Marrs, interviews an Air Force officer involved with top secret projects, and chats with someone once involved with the CIA’s remote viewing program. Area 51 activist Glenn Campbell makes several appearances. And yes, finally, Nick makes his way to the border of the secret base itself. This short and succinct Area 51 documentary covers nearly all the most interesting things about Area 51 (its mysteries) as any longer film. It clocks in at less than 10 minutes, but still manages to work in cattle mutilation, the E.T. highway (Nevada 375), the “black” mailbox (later white), and a visit to the Little A’le’inn. The requisite trip to both gates of the secret base results in narrowly avoiding a camo dude encounter. We also get to see something we haven’t seen often: a plain white commuter bus full of Area 51 employees leaving the base. The video quality is gorgeous. We’d recommend this film for Area 51 newbies, sure. But, since it has such beautiful shots of the Area 51 environment, you should watch it—even if you’ve actually been there. If you’ve heard of Area 51, you can thank Robert Lazar. Lazar made the secret base famous by publicly claiming that he was employed there as a scientist whose job it was to reverse-engineer alien spacecraft. You know, the kind that come from other planets and hover silently and move faster than the speed of light. His job, he says, was to figure out how that all worked. Whether or not you believe Lazar’s story, you’ll want to check out this Area 51 documentary. It’s entertaining, and it’ll get you asking yourself: what if Lazar is actually telling the truth?